Why choose aluminium instead of steel? On a visit to Chesham a modern glass veranda and a porch presented themselves to me as I did a bit of shopping in Sainsburys. 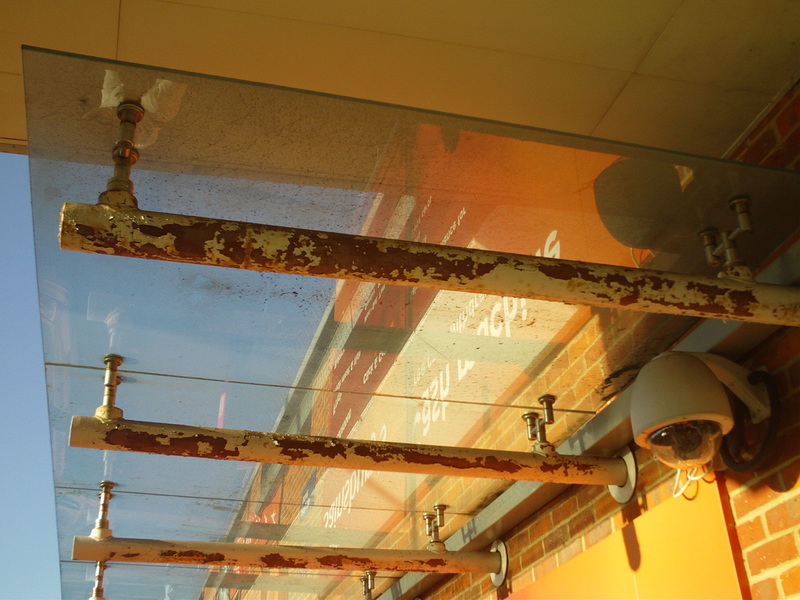 The glass veranda was looking very much the worse for wear with the steel load bearing bars marked by rust and the paint or powder coating peeling off in many places. 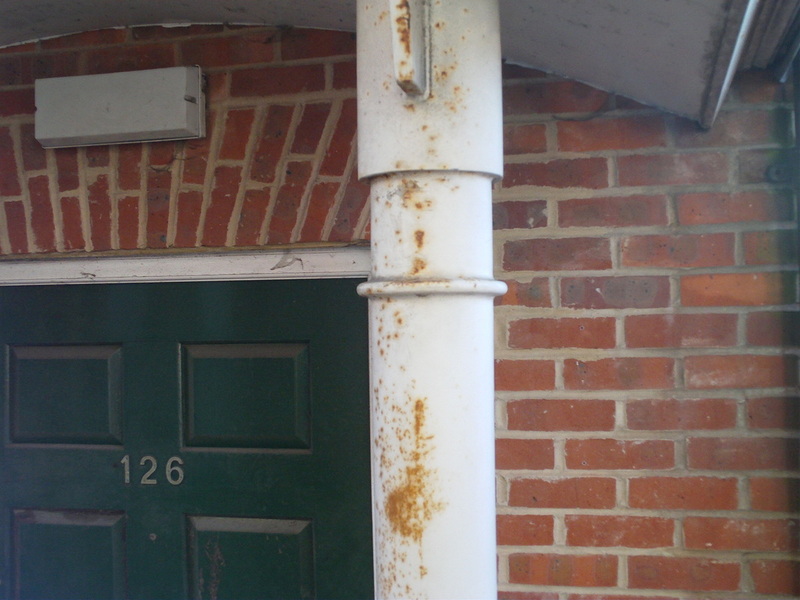 The steel porch was similarly tarnished. The problem with steel is that it rusts. So the slightest blemish in the paint work or a flaw in the powder coating allows for the ingress of water. Over time this reacts with the metal which rusts and pushes the waterproof paint away from the surface to create a bigger channel into which the moisture flows. 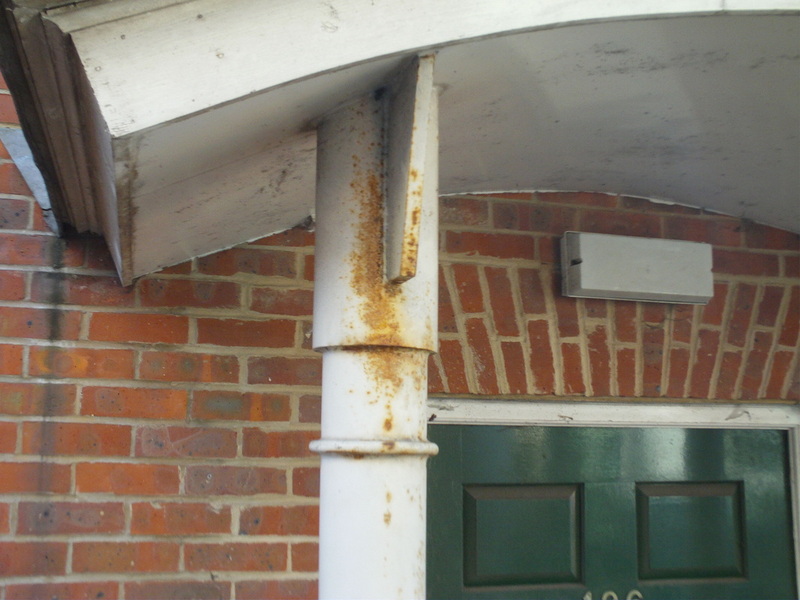 This makes very unsightly marks which can only be dealt with by a new coat of paint or by re powder coating. Because of this we only use aluminium and stainless steel fixings. This means that your glass veranda will stand the test of time and always remain rust free.